If you are an iPad Lover Then may b you One of the Awesome features of the iPad is the ability for the screen to rotate as you turn the device. This will Allow you seamlessly go from in portrait mode to browsing the web or watching a movie in landscape mode. it can be very frustrating when this auto-rotate feature stops working. But don’t worry, here in this post we will tell you that How to Rotate Screen on iPad this is an easy issue to fix. 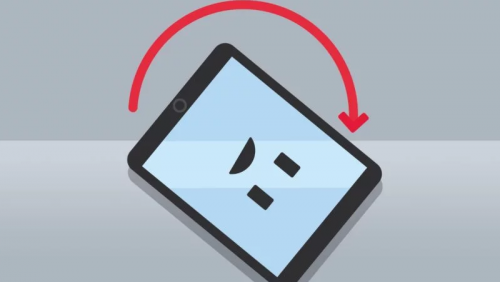 The first thing you should remember that not all iPad apps have the ability to rotate the screen, so going in the rotation you need to go inside an app, click Home Button of iPad’s screen to reach the main screen and then try rotating the device. If it rotates, you know it was the app, not the iPad. If your iPad Screen still not rotating, it may be locked on its current orientation. We can fix this by going into the iPad’s Control Center. Below you can check the Control Center Setting to Fix Rotate Screen on iPad. First, you need to Open Control Center, swipe your finger from the very bottom edge of the iPad towards the top of the iPad. Your finger must start where the screen meets the bezel, just above the Home Button. You should see the control panel appear well before you reach the halfway mark. On the control panel, now find this Lock Rotation button. it may b in the last icon in the row of circular buttons that begin with an airplane icon. The lock rotation icon has a circular arrow around a lock. If this button is highlighted, tap it to toggle the rotation lock off. Well, this will Allow you to rotate the iPad now, but you can’t rotate it with the control panel open. You can close the control panel by sliding a finger down starting from the top of the control panel or you can also press the iPad’s Home Button.